These are humbucker units with Ferrite bar magnets and 43 AWG Plain Enamel Wire that gives you a nice loud sound that is really relaxed, warm tone with plenty of dynamic range. 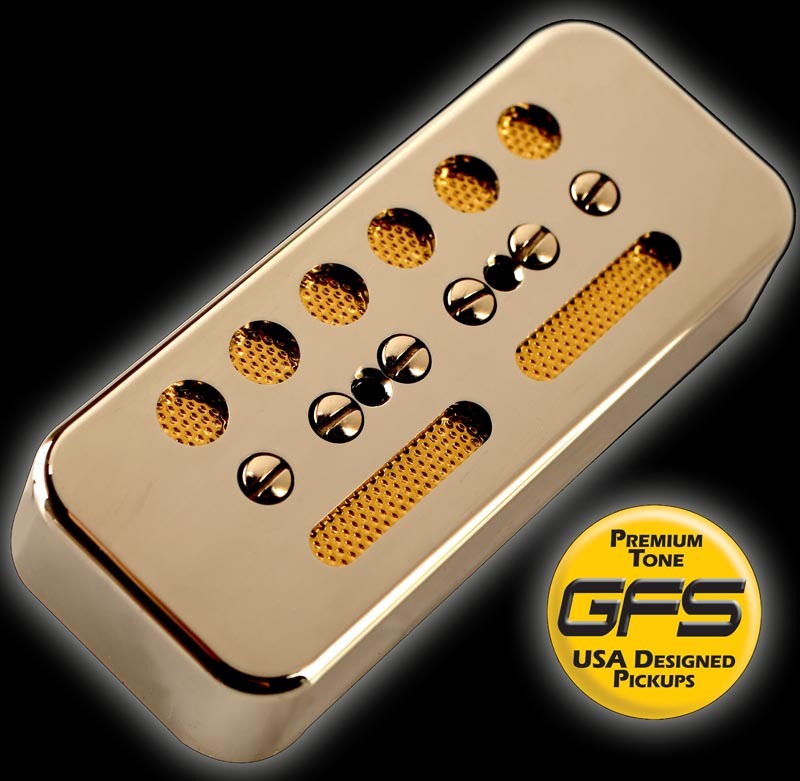 This is a softer humbucker with PLENTY of clarity on the high end. Beautiful for arpeggiated chords, fingerpicking and of course- slide guitar. We have successfully captured the lanquid, musical feel of the original single coil Gold Foils but added the body and power of humbuckers, without losing any high end definition. We also do an Alnico version, but the Ferrite versions do have the extra presence and clarity that drives a tube amp so nicely.